KAMPALA- Kampala High Court judge Andrew Bashaijja on Monday heard that the Attorney General (AG) will be in contempt of court to pay the Lord Mayor, Elias Lukwago in the case in which he is seeking orders to compel KCCA to pay his accumulated emoluments amounting to over Shs560m for the 30 months he was forced out of office through what he terms as an unlawful impeachment. John Natuhwera, a representative from the AG’s office said his boss holds an opinion that it would be in contempt of court to pay Lukwago yet matters regarding his impeachment are still pending before the Court of appeal. “Unless both Lukwago and KCCA agree to act on the advice of the Attorney General contained in his letters of December 2016 and January 2017 to the effect that they both commit themselves in writing to withdraw the court cases, then the payment of Lukwago’s salary arrears will be enabled,” Natuhwera said. 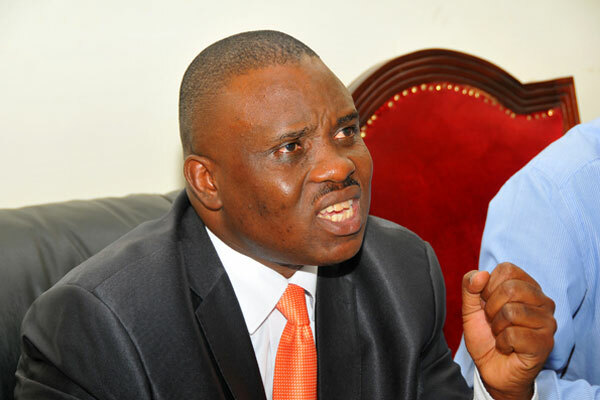 Last year, Lukwago sued the Attorney General, KCCA executive director Jennifer Musisi, the Kampala Minister, Betty Kamaya and the Authority itself. In the Court of appeal, Lukwago still seeks before a panel of three justices to review former Deputy Chief Justice Steven Kavuma’s order he issued as a single judge staying High Court orders that had declared his impeachment a nullity and a pending appeal lodged by the Attorney General seeking to reverse orders of justice Lydia Mugambe who ruled that the entire impeachment process of the Lord Mayor was unlawful. On March 28, 2014, High Court Judge Mugambe reinstated Lukwago into office saying the controversial impeachment was done illegally. The salary emoluments which Lukwago wants court to grant him amounts to Shs526m tax-free resulting from a period of December 2013 to May 2016 the period in which he was illegally impeached from office. Justice Bashaijja has now ordered the two parties to return to court on November 20, to present their oral submissions.